OSWEGO, NY – Only four Central New York style Small Block Supermodified events will pay $1,000+ to win in 2017 and the first of those four shows will take place this Sunday, June 18 at the Evans Mills Speedway. 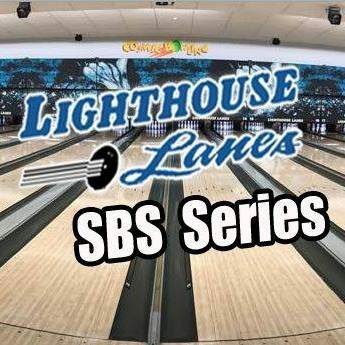 Joining the Spencer Speedway Lighthouse Lanes Series event on June 23, the $1,500 to win ‘Mr. Pathfinder Bank SBS’ show at Oswego Speedway July 22nd and the $2,200 to win 75-lap Bud Light SBS Classic on September 3, this Sunday’s early evening show will payout over $2,000 in purse money and $1,000 to the winner of the 50-lap contest. All of the action will be presented by Route 37 Building Supply. The building supply is a dream derived from Dave Bearup and thrives with the help of his two sons, Ken and David, Jr., and his wife, Debbie. Ken’s son Jesse will compete in the event behind the wheel of the Route 37 Building Supply, Felder’s Roofing No. 37 Small Block Supermodifed and is a weekly campaigner at the Oswego Speedway who just picked up his first career win at Oswego a week ago. Joining Bearup in competition on Sunday will be Oswego Speedway regulars Dalton Doyle, Rob Pullen, James Babcock, Cameron Rowe, Mark Castiglia, Bruce, Cameron Black, and Greg O’Connor. Expected to join the stars of the Pathfinder Bank SBS division are returning drivers JJ Andrews, Tim Proud, Steve Woods, Ron Pratt, Ray Sand Jr, Vern LaFave, and more TBA. Pit gates will open at 2:30pm this Sunday at the Evans Mills Speedway with grandstand gates opening at 3:30pm for the start of practice. Racing will begin at 5pm. General admission tickets are just $10 and can be purchased at the track. Kids 15 and under are FREE at the Evans Mills Speedway. Pit passes are $25. For more information, log on to EvansMillsSpeedway.com.